The tech community celebrated the United Nation’s International Day of Happiness Tuesday by attempting to break a world record. 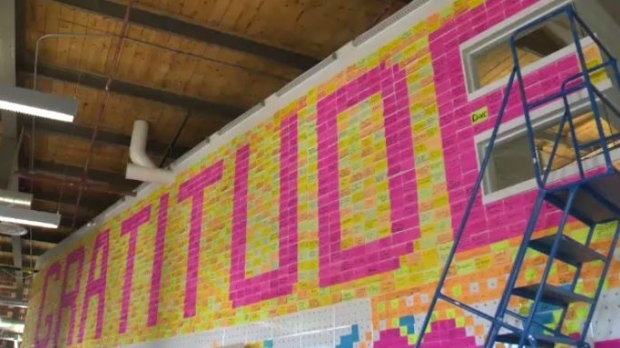 Plasticity Labs in Kitchener is hoping to break the record for the biggest gratitude wall. 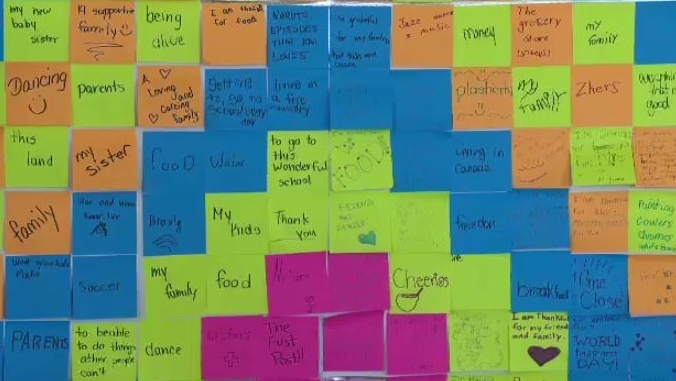 The wall features messages from local schools and seniors about what they’re thankful for. 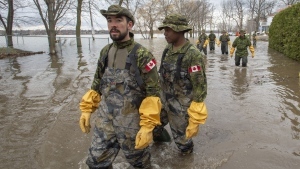 Jennifer Moss, the co-founder of Plasticity Labs, says gratitude makes people happier. 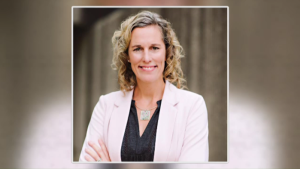 “We thought that we could bring our community together and get everyone to practice gratitude and make it a special celebration,” she said. There were also a number of other happiness-inducing events including yoga and special visits from therapy dogs and kittens. Plasticity Labs gratitude wall on International Day of Happiness March 20, 2018.